Dutch Phase 1, Lessons 1-30 includes 15 hours of spoken language practice and one hour of reading instruction in thirty, 30-minute lessons. In the first 10 lessons, you’ll cover the basics: saying hello, asking for or giving information, scheduling a meal or a meeting, asking for or giving basic directions, and much more. The Pimsleur® Method: the easiest, fastest way to learn a new language. Completely portable, easily downloadable, and lots of fun. You’ll be speaking and understanding in no time flat! 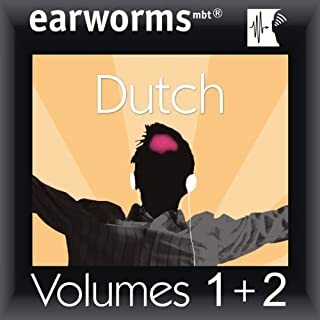 Each lesson in Dutch Phase 1, Units 1-5 provides 30 minutes of spoken language practice, with an introductory conversation, and new vocabulary and structures. Detailed instructions enable you to understand and participate in the conversation. Each lesson contains practice for vocabulary introduced in previous lessons. The emphasis is on pronunciation and comprehension, and on learning to speak Dutch. This course is hands down the best spoken language resource I have ever gotten my earbuds on. I look forward to each day's lesson, it's in digestible chunks, I truly feel comfortable and proficient with the material. This course brings up the old lessons to review just at the perfect time to keep it fresh. I cannot recommend Pimsleur enough. 3. )Dutch program only goes to Unit 30! They do not have the later phases! So if you had hopes like me of those, accept that (For now at least) this is only a 6 week maximum course! This program seems adequate if you want to learn basic phrases in a new language. The words/phrases are introduced clearly and the pronunciation is broken up into individual syllables so that you can clearly hear how to make each sound. There is a good amount of repetition and enough time in most cases for you to repeat the sounds/words/phrases when prompted. This was my first experience with an audio-only program, and I suppose it will do exactly what it says... help you learn to speak and understand the language. However I am a very visual learner. I found that after learning to say the words/phrases, I also wanted to see the words that I was saying, and know how they are spelled. The "reference guide" that accompanies this program is simply a 14 page blurb introducing the Pimsleur teaching concept. It contains no "reference material" at all for the units or language that you are studying. If you are a visual learner then this might be frustrating to you. 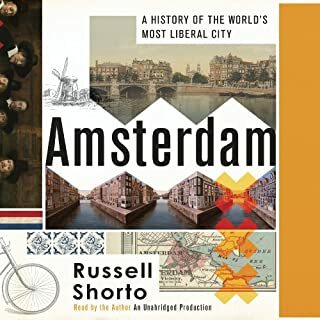 Has Dutch Phase 1, Unit 01-05 turned you off from other books in this genre? Not performance per se, but as noted above, some brief glossary with the spellings of the words we have learned would be valuable. Could you see Dutch Phase 1, Unit 01-05 being made into a movie or a TV series? Who should the stars be? 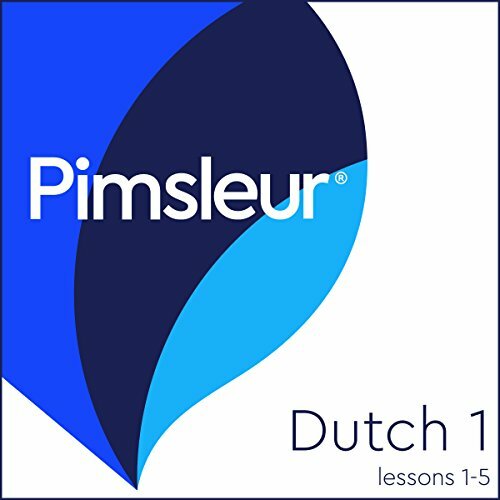 Having previously used the Pimsleur Haitian Creole program, I was not surprised to enjoy the Pimsleur Dutch as well. 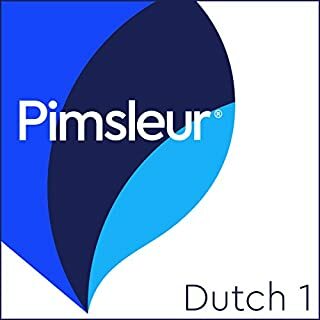 Pimsleur produces some of the best language learning tools I've ever found and I've tried a lot of methods. I have to say that while Dutch is my ancestral tongue, the pronunciation does not come through genetics. Who would ever have intentionally invented some of those sounds & words?!! 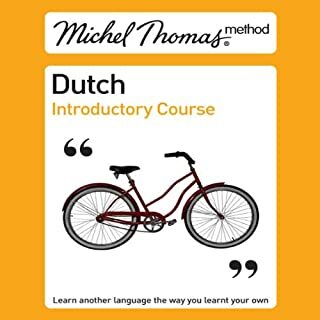 In any case, if you want to speak Nederlands, this is the course for you. It repeats million times so it doesn't let you get away with not remembering something. GREAT! This book is accurate as far as the vocabulary and method, but I found the lessons tedious and hard to attend to. The narrator has a Radio Broadcaster voice which was off-putting. Not my favorite brand of audio language lessons, it felt very dated and was hard to keep up with. I'm a fan of audio language learning and won't purchase any more Pimsleur volumes. Good for begginers trying to learn Dutch. The narrator is very monotone though which can make it boring at times. Pronunciation repeated only once, fast. Very few useful things to learn. I don't recommend this to anyone . Waist of money. There are so many other and better courses. For the amount it costs I was really expecting more than one conversation to be taught. this has geared me up for my trip to Holland, it's a solid start and pretty good value. However I will say sometimes it feels a bit rushed. Learning a new language is never easy and sometimes your searching for the word when the narrator chimes back in and gives you the answer. A few extra seconds between sentences would be nice. Best way to learn a language! The repetition is great and it explains what you are saying really well. I for once find it easy to remember what had been covered. Well structured lessons with built in revision as learning progresses. 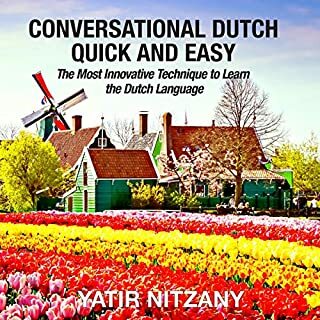 I have recommended this to one of my friends wanting to learn Dutch.